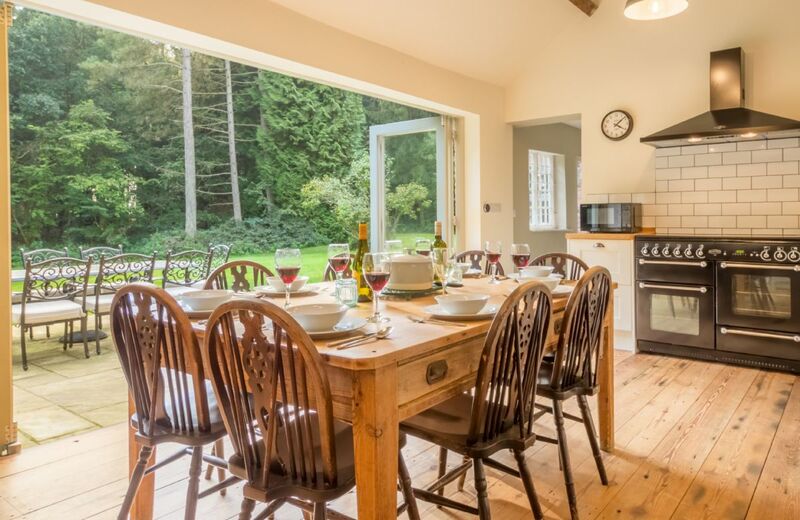 This lovely holiday house on the Bodnant Estate, sleeping seven, has been converted from a barn. 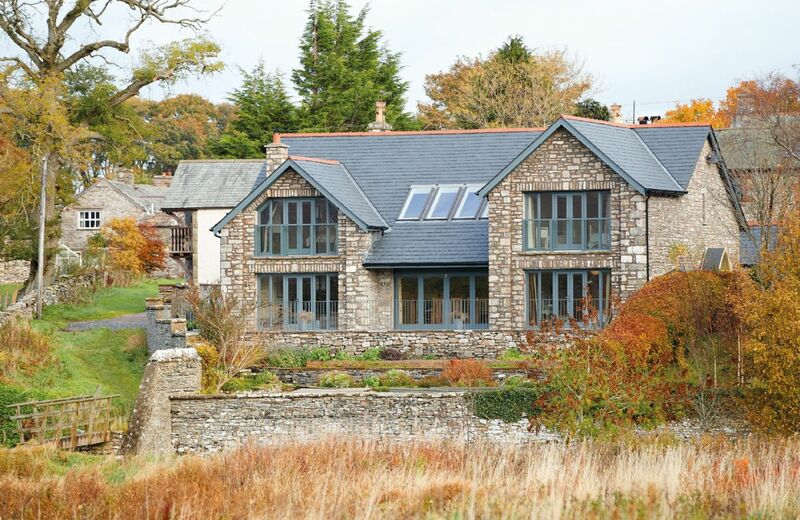 It has a large enclosed garden and terrace and commands spectacular and panoramic views of the Carneddau mountains. 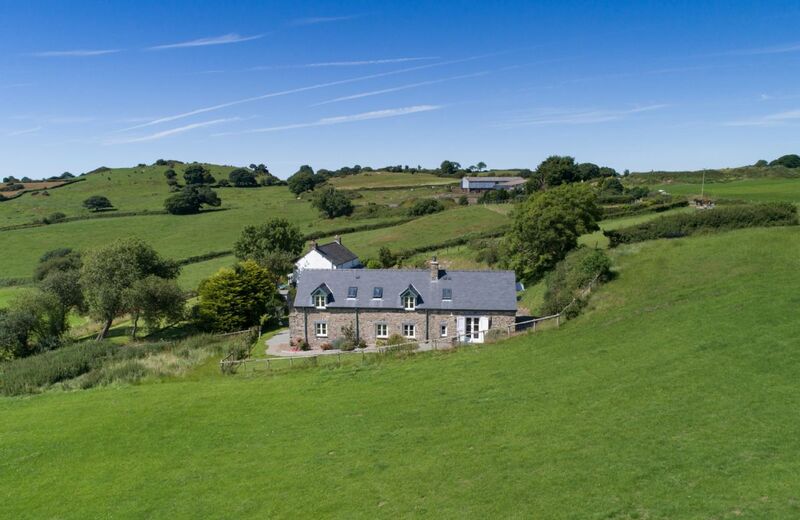 Very comfortable, well-equipped warm house (excellent log burner) in a peaceful location surrounded by lovely countryside with lots of space for a big group. The property owner, Louise was very helpful. We all enjoyed ourselves. The directions were confusing and the water pressure in the bathrooms was a bit low so have only given 4 stars. Excellent location for exploring Devon. Very comfortable house to relax in at the end of the day. 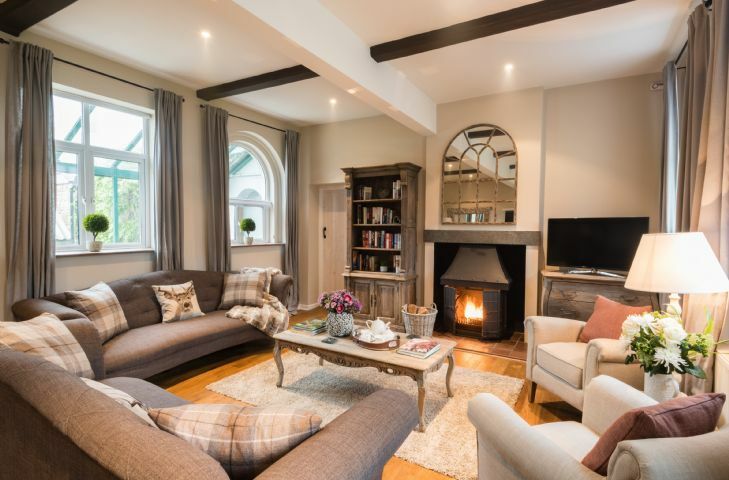 This is an amazing property - very beautiful and comfortable with plenty of space for a large group. Would have given 5 stars but the directions to get to the property were a bit confusing and we had some issues with lack of hot water in a few of the bathrooms. Otherwise was perfect! Thank you for for your lovely review. I am delighted that you had a great stay at Aarons - we shall reassess our directions! Lovely property, everything you could ever need provided, warm and very comfortable, excellent communication with property owner Louise. Would definitely recommend. 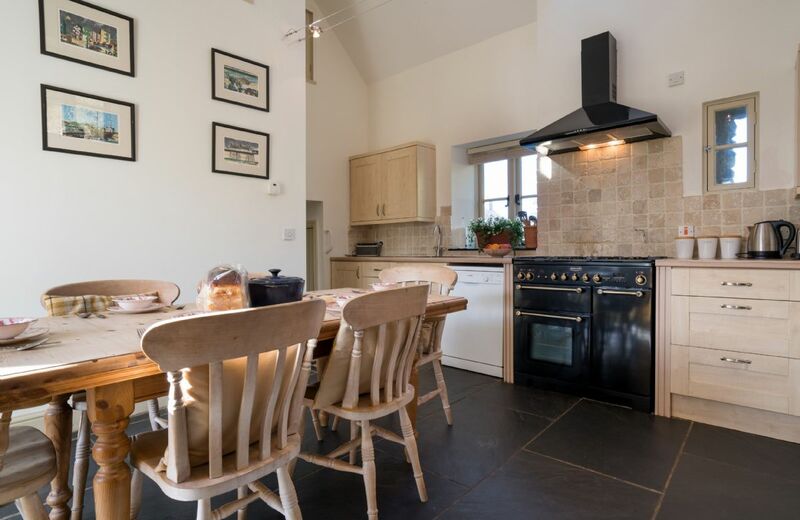 Aarons is a beautiful cottage, tastefully decorated and very well equipped. It is located in a picturesque area and has a very relaxing atmosphere. There are a variety of places to visit in the locality to suit all ages and interests. We all thoroughly enjoyed ourselves! Beautiful , high speck house in a quiet and relaxing location. It had everything in terms of equipment one could wish for. The owner couldn't have been more helpful or obliging. Our only gripe was that we had one real, functioning shower between the 4 bedrooms. The 2 other bath connections had no real pressure. That did not take from our overall satisfaction, however but made us hesitate about giving 5 stars. What lovely comments about Aarons, thank you so much. We have been in discussion with the owner about the water pressure and a plumber is looking at it. 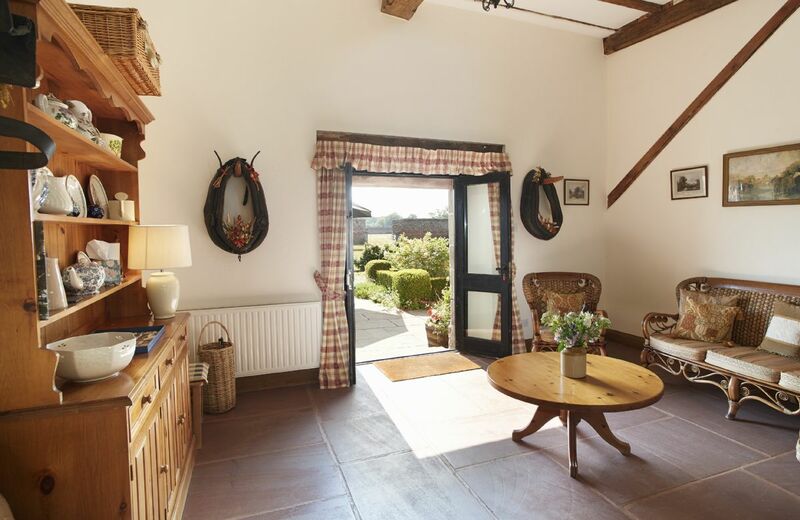 A beautiful cottage with excellent quality of furnishings, bedding etc. Ideal for a family get together for my husband's 70th birthday. Very quiet position and lovely outside area and garden. This would have been 5stars but the water system did not have any pressure in the two bathrooms. The bath took at least half an hour to run and the hand held shower could not be used as no pressure. This led to 8 of us having to use the cloakroom/shower which worked fine but was not ideal. Apparently we should have contacted the owner to report this whilst we were there but we managed with the one shower and our contract was with RR anyway who I reported this to on our return and they investigated this with the owner and handled the problem very efficiently to my complete satisfaction. Thank you for your review. I am delighted that you were impressed by Aarons, despite the shower problem, and thank you for your kind comments about our service. Excellent property situation, beautiful accommodation/decor and very well equipped. We stayed at Aarons at the start of April. The house was fabulous for us - me, my husband and our 4 children (7yrs, 6yrs, 3yrs and 1yr). It was immaculately presented on arrival, including the delicious Victoria Sponge we had read about in previous reviews!! There were plenty of towels, lovely White Company toiletries, a welcome hamper with lots of very helpful items, tissues in most of the rooms and incredibly comfortable beds! Our children loved playing in the garden and our baby was kept busy and entertained with the toy basket. The owner had checked with us prior to arrival whether we needed stairgates and they were up for us when we got there. The highchair and cot were both in very good, clean condition as well. Everything was clean and beautifully presented! The owner was absolutely lovely as well. We loved the location - very pretty area and we did a lot of exploring each day. Such a great holiday and we would definitely stay again - and would certainly recommend a stay at Aarons! Spotlessly clean and everything worked. 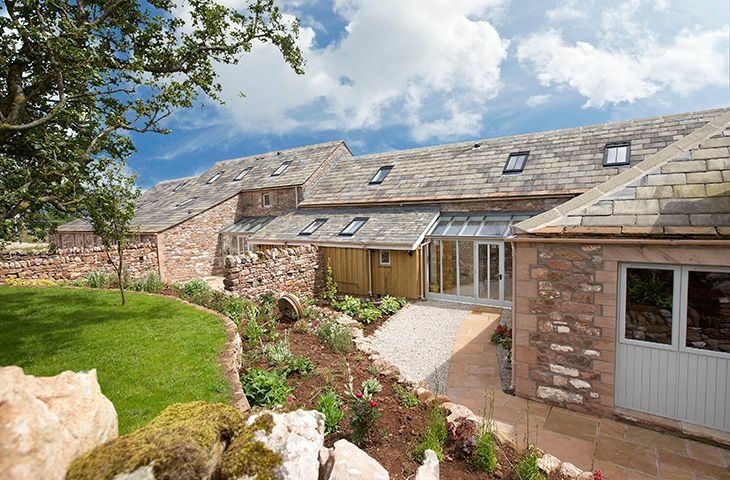 Lovely barn conversion. Very comfortable and well equipped. Would definitely stay there again. Aaron's is exceptional. An extremely well equipped and beautifully furnished home. The garden is really lovely too and the owner very thoughtful and accommodating. Thank you. We enjoyed staying at Aaron's very much! We felt so welcome upon our arrival with the lovely food basket, the special tea service and the gorgeous Victoria Sponge cake awaiting us. Also, the beds were incredibly comfortable! We would definitely stay here again. A beautiful place to stay. Spacious yet cosy and warm. Very well equipped and the hamper and cake on arrival was a real treat. 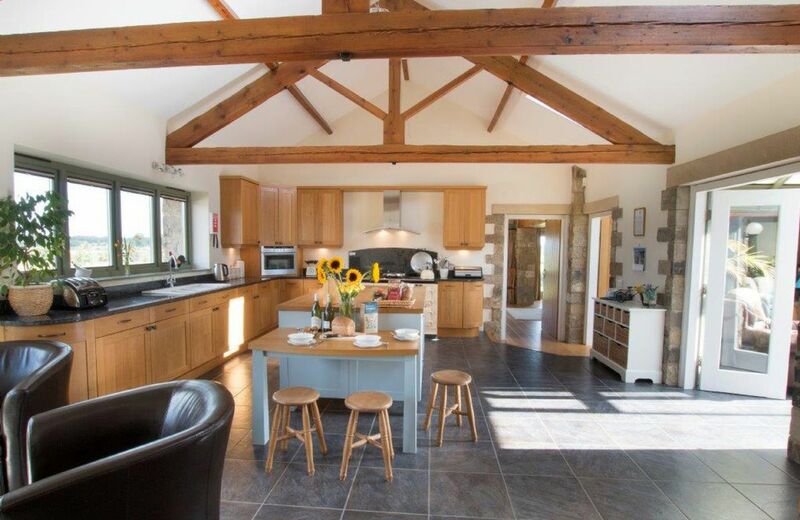 A light and airy, attractive barn conversion situated within the Dartmoor National Park. 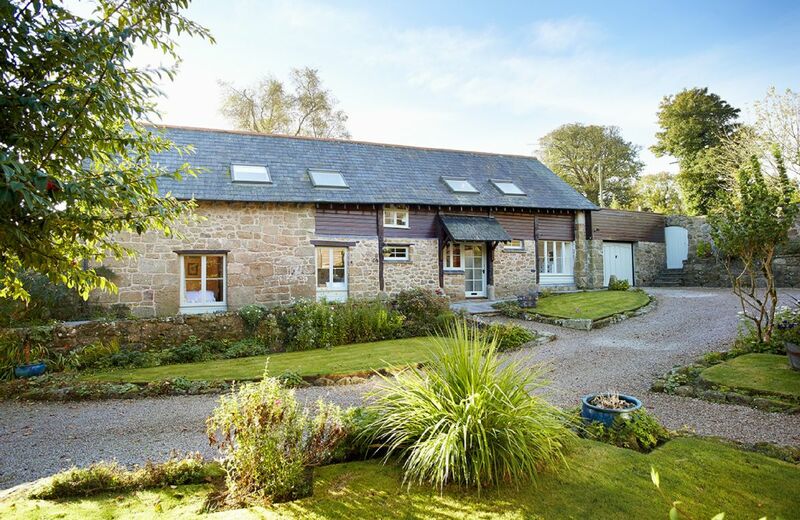 Despite the secluded location offering wonderful views across the Teign Valley, the property is ideally located for exploring Devon and Cornwall being only a short drive from the A30. 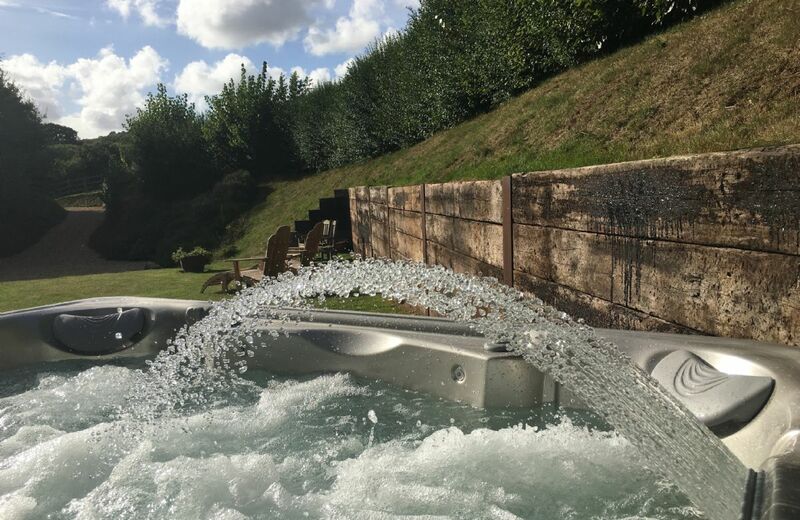 We wanted somewhere special, secluded, not far from Sidmouth and surrounding areas which accommodated 3 couples, our complete close family! All required their own en-suite or bathroom and we wanted it to be quiet for this special celebration, (Golden Wedding). Apple Mill Cottage exceeded our expectations. It was spacious, comfortable, very well equipped with all you could wish for . When we arrived it was ready for us and we found it to be spotlessly clean, even a welcoming hamper ( including TEA! There were home baked scones jam and cream for us as well. The owners came to us and offered any help required just knock them, their house was close by. 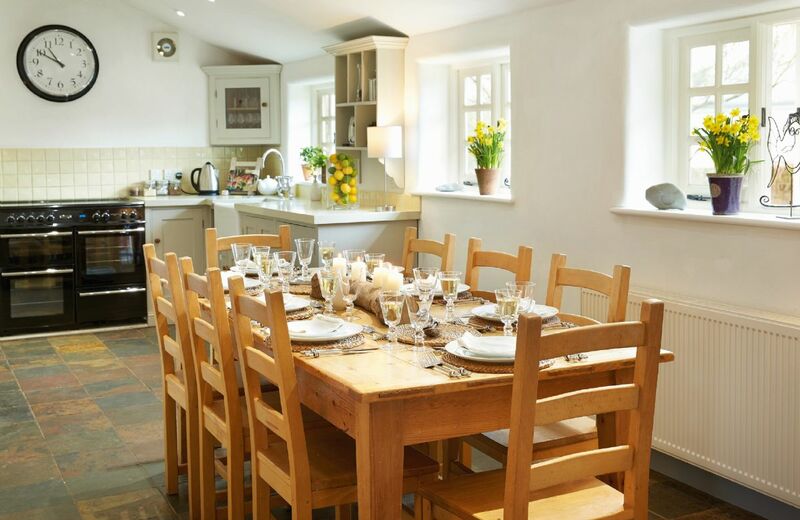 All in all, a brilliant find, everyone was helpful and we thoroughly recommend it .Rural Retreats staff were very helpful and friendly with no pushiness. Beautiful spacious cottage! Welcome pack was a lovey touch. Can’t fault anything. Fabulous cottage in a beautiful area. We would highly recommend it, and be back to use it again. Lovely house but wouldn’t say it was 5* due to hygiene, also owner needs to be aware that people are allergic to duck feathers and all of the bedding and pillows were made from them. Thank you for your feedback. I am delighted that you thought Apple Mill lovely. What a shame that you didn't speak to the owners about different bedding. They have complete sets for anyone who is allergic to feathers. Fantastic house. Loved the hot tub! A lovely, clean and well equipped property. However, once we had used the washing machine, there was no way of drying the clothes. A clothes rack would have been useful. Great location. Cottage was a wonderful place to chill and relax. Stunning cottage in a great location. Attention to detail made our stay a pleasure. Would recommend to others and return if visting this area again. Apple Mill is a beautiful property that is very well equipped and maintained. Everywhere was clean, the beds were very comfortable with good quality bed linen. 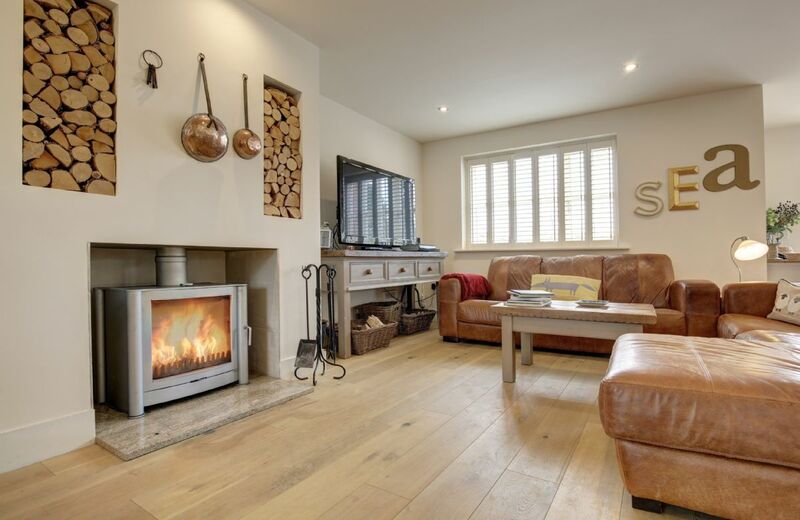 The living areas were very comfortable and the wood burning stove lovely with a plentiful supply of kindling and wood. The hot tub was a perfect treat, it was super hot, clean and big enough for all six of us our party to sit in comfortably. I would thoroughly recommend Apple Mill if you are looking for a warm and welcoming house with great facilities. Excellent property, welcoming hosts and fortunately excellent weather! 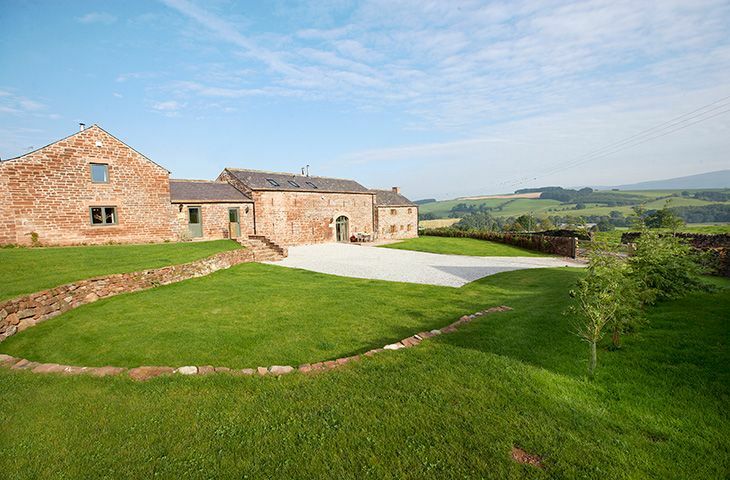 Superb, large cottage (barn conversion), very well equipped. Extraordinarily peaceful – just what we needed! 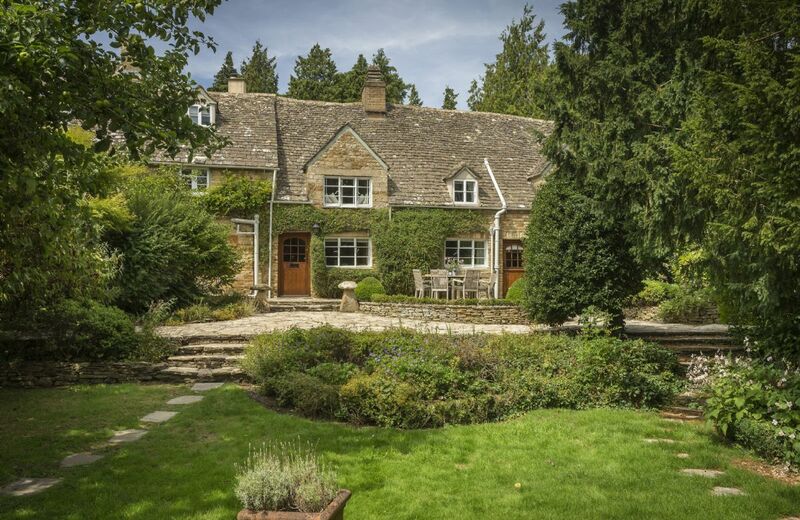 This delightful Grade II listed property, accessed via its own driveway, has its own secluded, private garden, hot tub and courtyard. For holidays taken between 28 March 2019 And 30 April 2019 Minimum of 3 nights booking. For holidays taken between 1 May 2019 And 31 August 2019 Minimum of 3 nights booking. A really lovely home on the seafront that is close to some great restaurants. The bedrooms with en-suite facilities was welcomed and we thoroughly enjoyed the opportunity to enjoy the sky a system with Netflix! Wonderful house with stunning views and perfect weather. Lovely welcome pack to greet you straight away. Spacious house in super location with stunning views. House well set-up with almost everything you could think of. We really enjoyed our holiday at Beach View, the house was in a convenient location, great views, clean and very comfortable. A really good welcome hamper and very pleasant, helpful and informative owners, giving us lots of information before we arrived. Needs some investment bearing in mind rental cost. Thank you for your comments which we will look into. From the owner ~ "We are sorry that your impression was less than we strive for and has been reflected by the positive feedback of our many guests. All matters raised have been addressed and we hope to welcome you back in due course"
Excellent standard of house and housekeeping. Downstairs bathroom needed an update and a walk in shower. A very well equipped, clean and comfortable property in a wonderful position overlooking the beach and sea. The availabilty of a beach hut adds to the beach holiday experience. Lovely bedrooms, but a little dated downstairs. Could do with more mugs - only 8 supplied for 8 people and very poor selection of glasses. Other than that plenty of kitchen equipment. Thank you for writing following your stay. The glasses have been replaced and updated. The house was marvellous. Properties rarely live up to the promise of the website but this one did. We only had a short (three night) stay but were very impressed with the welcome basket. The property was fantastically clean and shipshape. Not like a rental property at all. Goodish but the property needs a makeover. Bulbs were blown, cupboard doors in the kitchen don't fit. A little disappointing for the price compared to our last property. The hamper had no local produce which was a shame given we were in Dorset. Clean though. Bin liners would have been useful. The details sent through before our arrival need updating as Gary Rhodes restaurant closed in 2010. A stunning location just slightly spoilt for a little care and attention. However, the oven was broken throughout our stay - the door would not close on the main oven. We reported this on the day we arrived to the owner but it was not repaired during the week we were there. The hoover was in a very poor state, held together with string and tape and completely ineffective. We had to ask the housekeepers for the one they use - it was not much better. The drying rack attached to the wall in the utility room needed repair - it was hanging off the wall. No instructions on how to use the rubbish dispenser on the sink - we had to ask the housekeeper. Bedrooms were very nice - beds really comfortable and lots of room - beach hut was great. I am sorry that the oven door wouldn't close fully due to an issue with the hinges. The owner contacted the manufacturer fitter but the earliest appointment available was after your stay. The waste disposal "on/off" is a button fitted on the side of the kitchen sink. Thank you for reporting the other items to the Housekeeper to attend to. 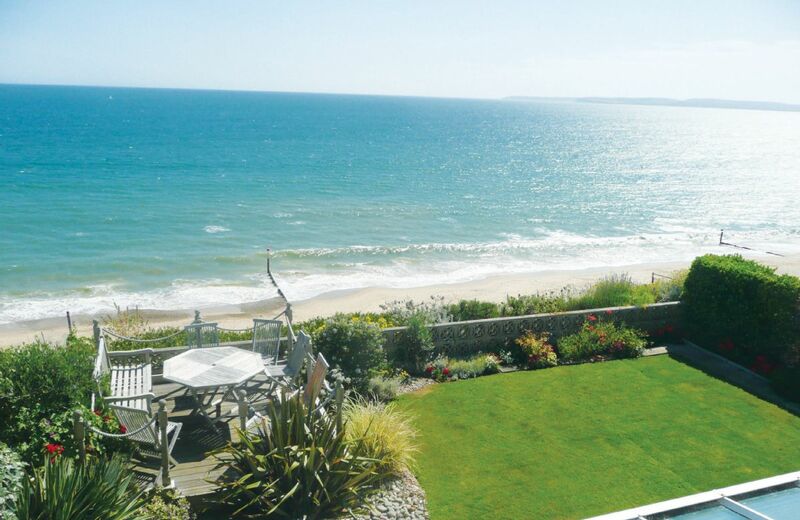 A lovely property, very well equipped and two stunning bedrooms looking out to sea. 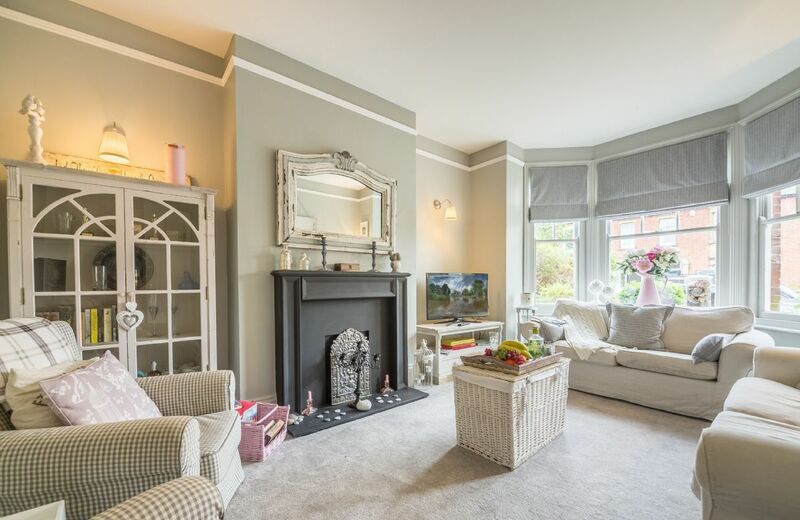 This beautifully presented spacious, light and airy detached house, with four bedrooms, four bath/shower rooms occupying a stunning position directly on the sea front in Southbourne on the outskirts of Christchurch, with breath-taking views. A short walk takes you to seven miles of glorious golden beaches. A superb contemporary house, a two minute walk from the beach in Old Hunstanton with the option of a beach hut. 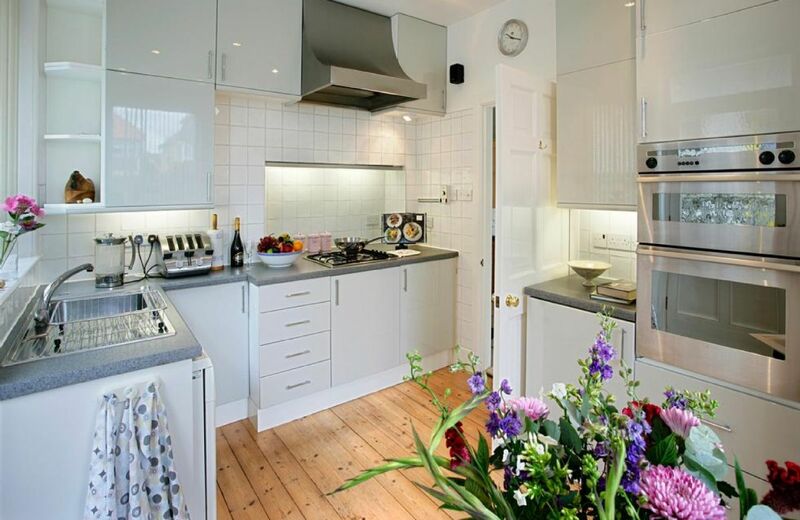 The house is of a very high specification, light and airy and comfortably furnished. Bear’s Cottage is unique in every way. 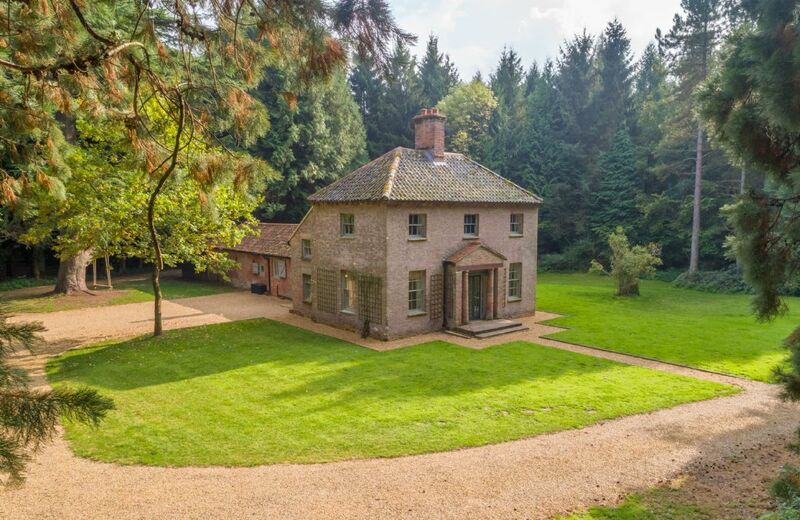 Set amongst 200 acres of private woodland, it offers pure escapism in a beautifully remote and secluded location. 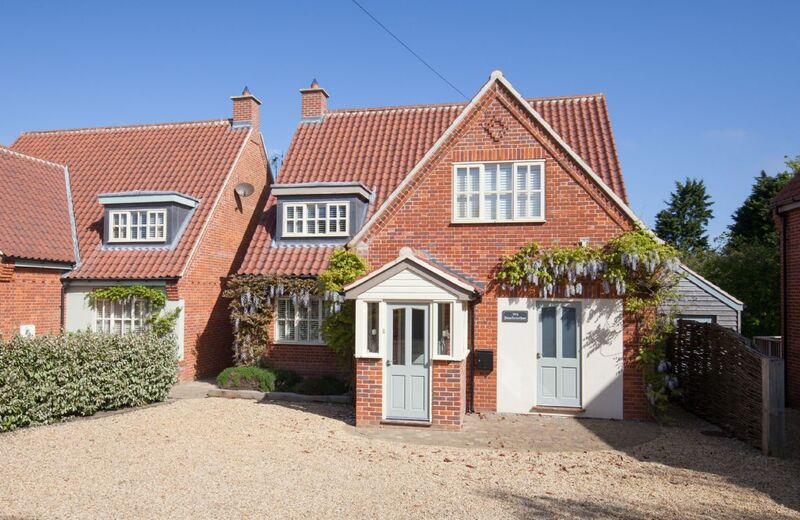 Wood Norton is a pretty rural village set inland but ideal for exploring the beautiful beaches and coast of North Norfolk. 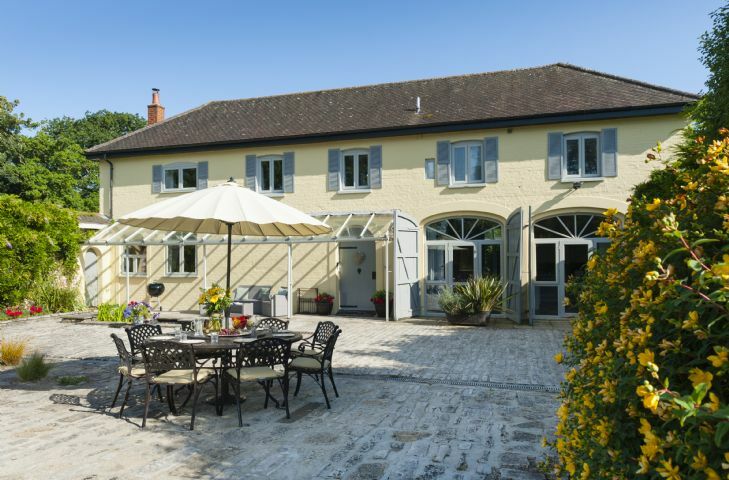 A lovely retreat with beautiful grounds in an idyllic location. The hamper was delightful. Will book again for a longer visit next time. The nearby Rose and Crown is highly recommended for dining. 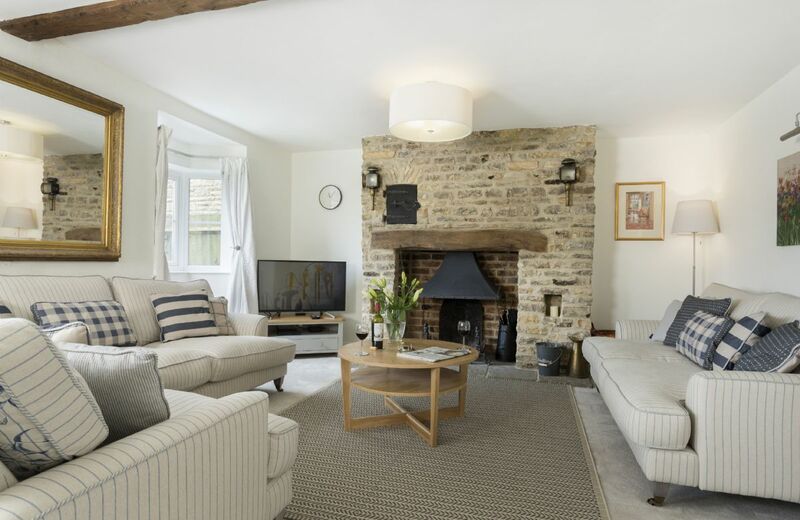 The Bellhouse is a beautiful cottage in a beautiful location. We spent hours walking, sunbathing and star gazing! 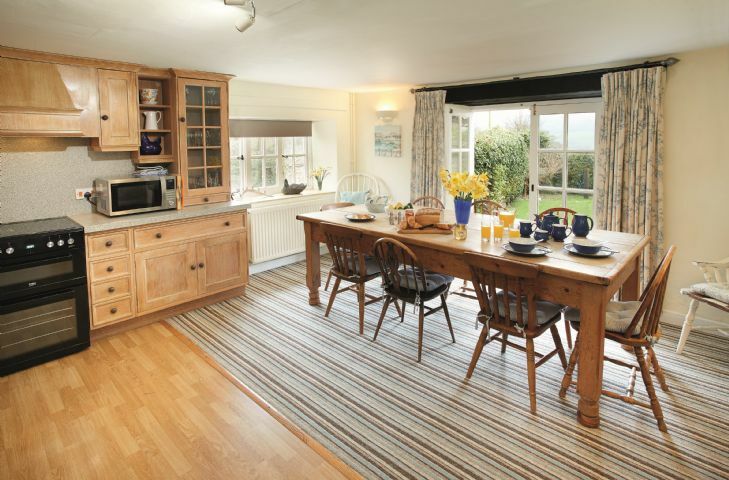 The cottage has a real homely feel and everything was clean and well equipped. Apart from the garden, which is a little overgrown, the attention paid to detail was excellent. The rooms are spacious, light and airy; the beds very comfortable and with three bathrooms no one had to wait. The kitchen was very well equipped. Update ~ Bellhouse now has a tumble drier. What a place! Lovely bedrooms, and superb gardens. Beautiful setting, lovely house, lots of room, clean. Rural retreats were efficient and the owner communicated well. After very many stays in Rural Retreats houses, we were a little disappointed with this one. House was meant for 8 and it just fitted 6 of us but was cold and heating uncertain. Very small freezer space, lack of kitchen cupboards, no visible pepper or salt pots . Small things but a nuisance. A bunch of daffodils would have cheered up the grey painted cold sitting room ! FROM THE OWNER ~ We have found your comments about equipment very helpful and have acted on these. We have new boilers and have totally renovated the heating system so there are no more issues with oil smells! Thank you for your comments about the fridge and freezer, rest assured if you return they will be on and we have also increased both fridge space. Property was clean, well-furnished, comfortable and warm (once we got the heating going; see below). A generous supply of logs for the open fire was provided, with permission to take more from the adjoining barn. Property was quiet and peaceful. We were advised by the housekeeper that we could access the property after 2.00 p.m. rather than the standard 4.00 p.m., which was helpful. We arrived about 3.00 p.m. at which point the heating was not on and the house was cold (bearing in mind this was one of the coldest weeks of the winter). Also, the fridge and freezer were turned off (we note that other guests had commented on this in the visitors' book; it would be helpful for the fridge and freezer to be cold for the purposes of receiving supermarket deliveries etc.). The oil fired heating in the single storey part of the property produced a strong and unpleasant smell of oil when running; we wonder if the burners require cleaning/adjustment? A number of pieces of crockery were badly chipped and a few glasses were cracked (not by us!). There were no spare bin liners or food recycling bags (despite the dire warnings about the council's strict recycling rules). Although generally well-equipped, there were a few kitchen basics missing, e.g. a fish slice (useful for flipping fried eggs even if no fish cookery occurs!). Wonderful house! A lot bigger than it looked in pictures! We loved the area and enjoyed exploring in the woods and national trust around the house. Bellhouse was a great place to stay! We had 8 people and had plenty of room. Comfortable, well equipped, reflected description. Great place for a get together with wonderful woodlands right outside the door. Lovely house in scenic, peaceful location. Well equipped, plentiful space etc. A bit short on bowls for snacks etc in the kitchen, but nothing critical. Directions ok, although it would be tricky to find in the dark! The final turning into the lane leading down to the house could maybe be explained more clearly, and with note to ignore private/ no entry sign as you near the house as there’s no sign sayin The Bell House before you reach the house drive way itself. Excellent facilities throughout. Very comfortable. Elegant and tasteful but in NO way a "dont touch" kind of place. 2) Wi-Fi signal not strong enough to reach all parts of the rambling (in the nicest possible sense) house. Several repeaters needed. Good in parts and well equipped. I had booked this cottage because of the downstairs bedroom and bathroom, however didn't want to use them in the end due to the bathroom being cold and the toilet difficult to flush. FROM THE OWNER ~ This was a original toilet with overhead cistern and chain which has now been replaced with a modern toilet and cistern. Beautiful house, lovely rooms & well equipped. Would loved to have stayed for ever! Nice area in the Cotswolds. Pleased with property although one of the bedrooms was very small compared with the others - ideal for children. Lovely sitting out area a real sun trap. The information about the area said that the cottage was within walking distance of the local pub. It was in fact a good 20 minute walk on a fairly busy narrow road with passing places so no footpath and the road surface wasn't good. We ended up having a taxi as couldn't risk walking back in the dark at night. Thank you for taking the time to review your stay at Bellhouse. As a result we have adjusted our web page description of the nearby amenities and access to them. I am glad that you enjoyed your time there, the garden is lovely. The property was beautiful and charming and we all really enjoyed the facilities. Plenty of firewood was provided for the open fire. The welcome package was useful and appreciated. For holidays taken between 12 April 2019 And 22 June 2019 Minimum of 3 nights booking. Excellent and comfortable family accommodation and the children loved the pool! Fossil-hunting with Martin is to be highly recommended, too. It was well equipped, comfortable, and had plenty of space. We prefer it to home! It was secluded, very attractive, and tastefully modernised. The whole family loved it, being able to take dogs was a bonus. We love the area, and had a great family holiday, one of the best! 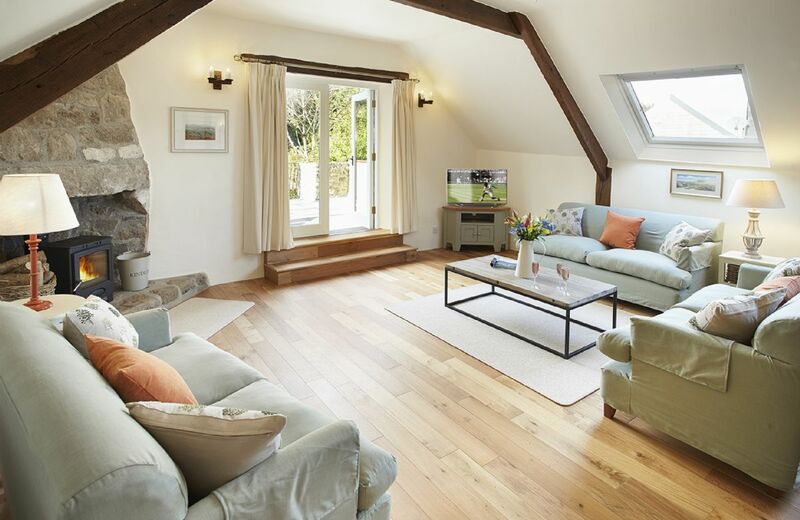 Sleeping up eight guests, Champernhayes Farmhouse is one of six charming 15th Century restored farm buildings situated on the gentle slope of a West Dorset hillside, a real Jurassic Park. Awarded 5 stars by Visit Britain. 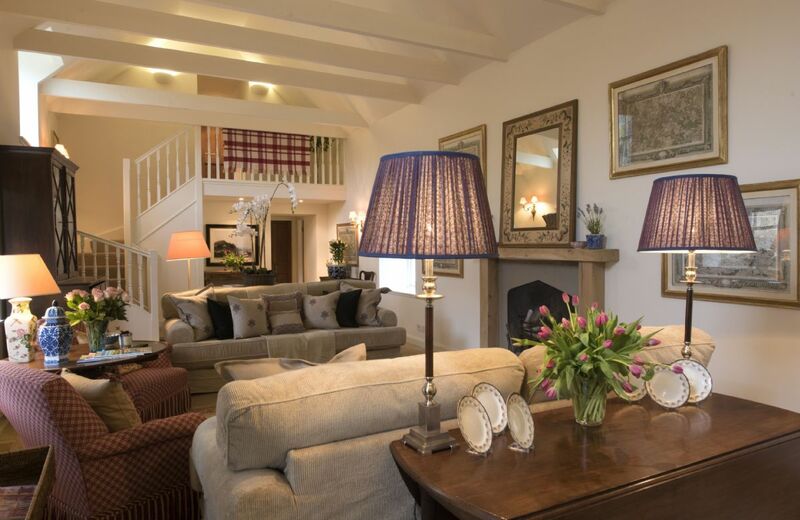 The Coach House provides unique and stylish accommodation for 8 guests. Situated in a quiet rural location and part of the Heathfield Estate it is ideally located to explore the New Forest and the Dorset coast. Correos House is a luxurious home-from-home that is only a short drive from Houghton Hall and gardens, home of the famous Horse Trials. 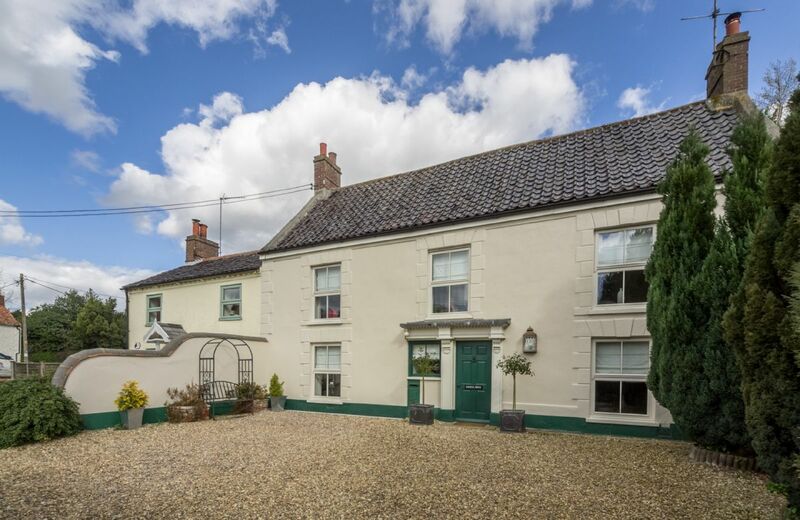 This restored Georgian villa is close to the green in the sought-after village of East Rudham, with a village pub and shop, butchers and tearoom all within walking distance. Very clean .Everything in good order . A lovely weekend break with the family. The house was really nice, very clean and very well equipped. Would definitely return. 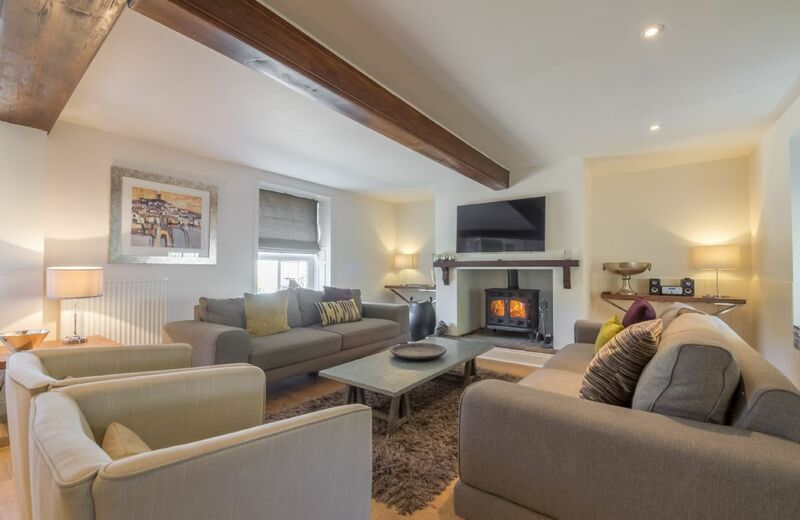 Absolutely fabulous accommodation, the best we have had through rural retreats, plenty of space for family of 8 and fitted out with everything you could possibly need. We had a lovely time and hope to return some time in the future. Thanks to all concerned. Beautiful house and very well equipped for our stay. The welcome hamper was a lovely touch. We loved our stay at Cromwells Manor - there was lots to do in the surrounding are and the accommodation was perfect. Beautiful location and a wonderful property. We had a fantastic time. 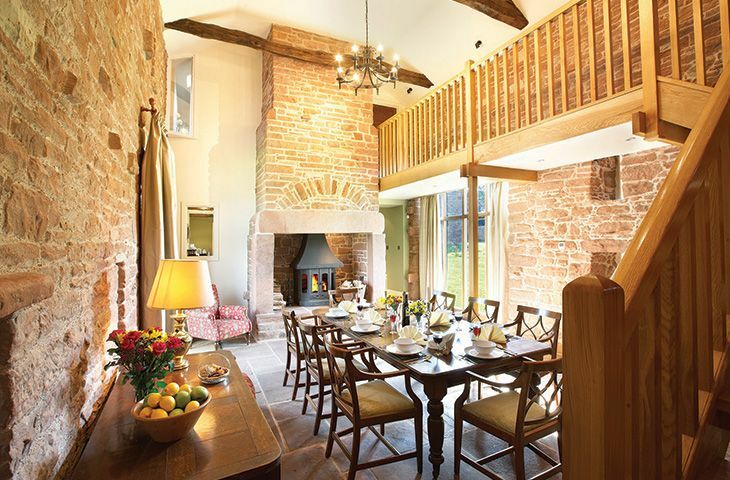 A super retreat in the Cheshire countryside but also close to Nantwich. The house itself is beautifully finished. It's a truly impressive upstairs area. The open kitchen, lounge diner is fabulous. Bedrooms are perfect with plenty of bathrooms. Excellent for families and young children as well as older. Nothing to fault. The farm and proximity of cows and horses was a bonus! Thoroughly recommend. Another wonderful review and recommendation for our lovely property Cromwells Manor. Thank you so much. If possible Cromwells Manor was even better than the brochure photos. 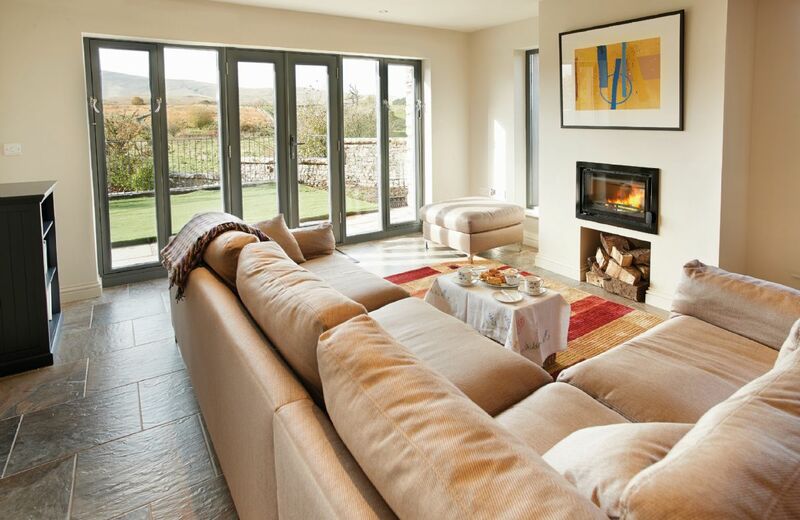 Fabulous, warm, comfortable and ever little comfort catered for. Five star accommodation. We all had such a wonderful stay. Owners were kind and considerate and on hand if we needed anythng. The owners were excellent hosts and made sure that we were happy with everything during our stay. The property is extremely well kitted out, with lots of extras such as games, DVDs, books. We felt completely safe and at home - especially one day when we had to stay indoors during very bad weather. A superior property that is very well maintained and provided excellent accommodation for our family which include children and a baby. would highly recommend. Having one, large living area worked really well keeping us all together but still with lots of space for making cocktails, cooking, eating and having fun. It was also toasty warm which is just what you need in February with a wood burning fire as an extra if you really wanted to roast. The owner was also very friendly and helpful and we are planning our next reunion there. .
A superior property and attentive owner. 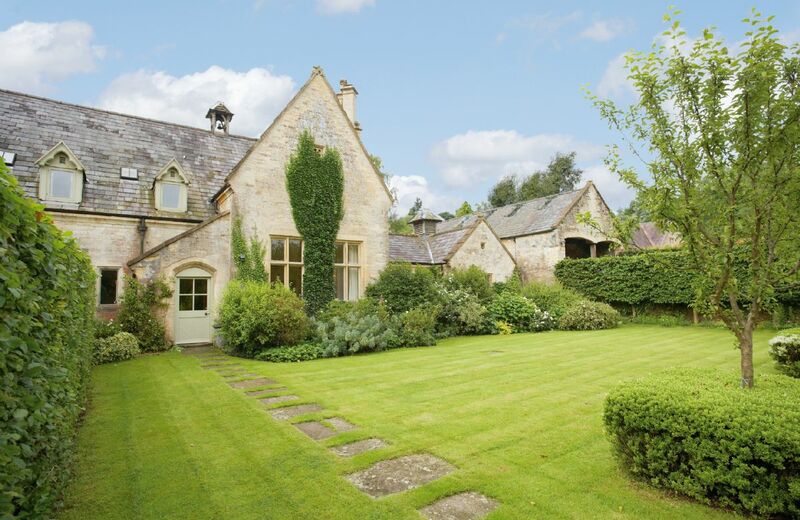 Cromwell manor is an exceptional property. Great for a friends get together. Thank you. A nice welcome. We've been before so knew what to expect and we were not disappointed. Absolutely outstanding accommodation and hospitality. We were provided with a hamper and lovely homemade buns. The Manor was gorgeous and provided everything we needed. My family and myself will be returning. 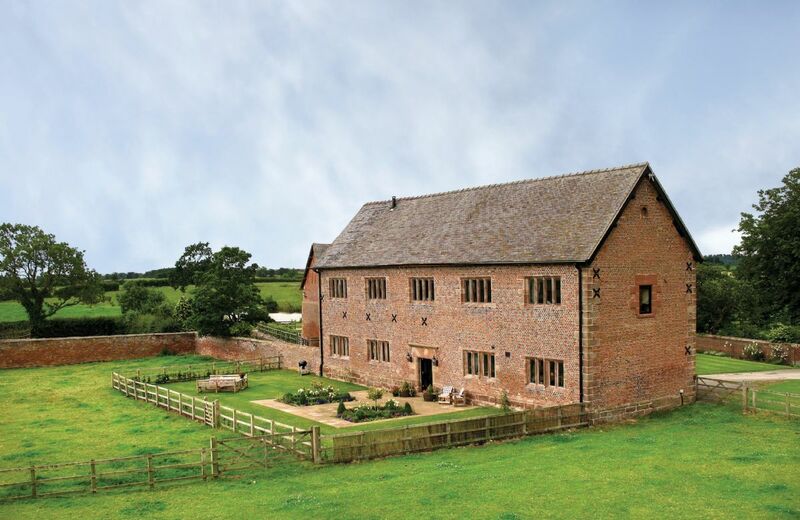 This Grade II listed former barn near Nantwich, reputed to have been slept in by Oliver Cromwell, has been beautifully restored while retaining many original features. 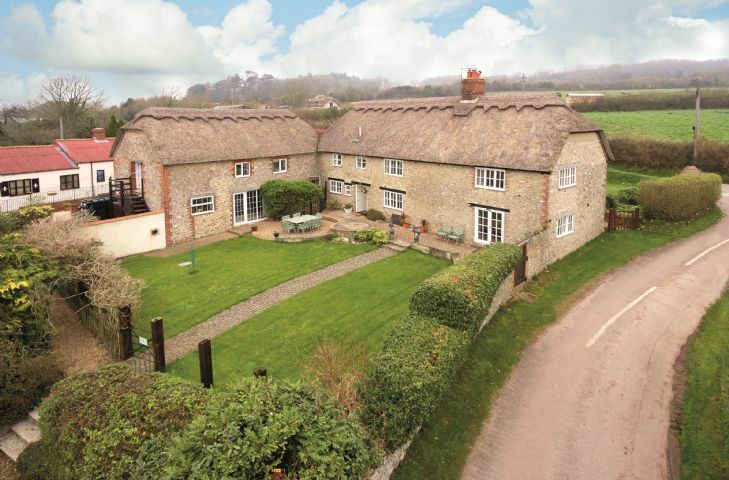 It is in the grounds of a dairy farm, in glorious unspoilt countryside. 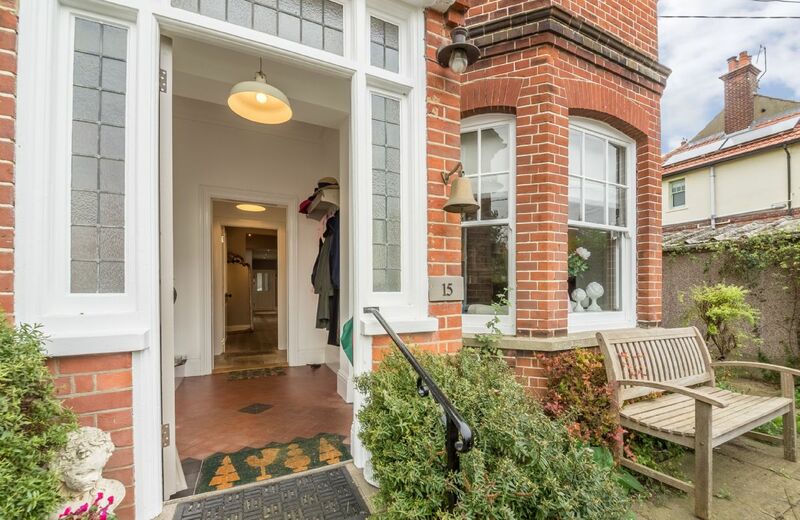 This elegant flat, forming half of a large town house, in the heart of Aldeburgh, just a short walk from the High Street and the beach, is perfect both for guests who wish to be part of the Aldeburgh scene and for those wishing to escape to their own peaceful haven. We have been twice to the barn. It is beautiful. 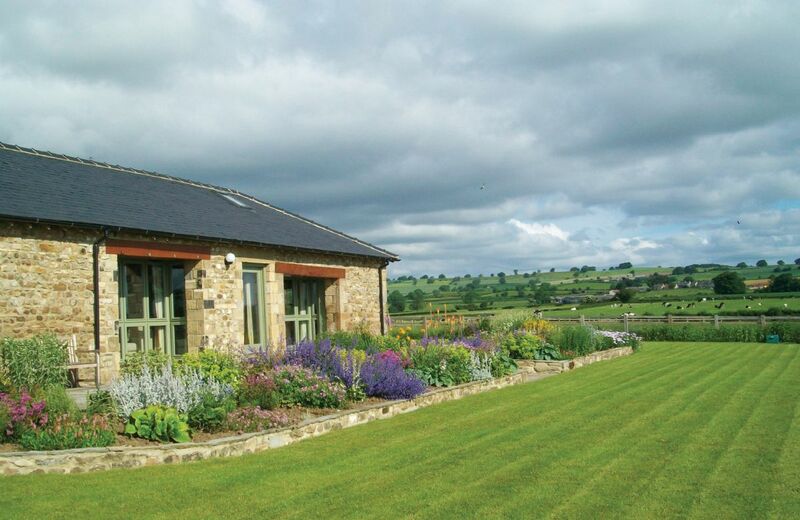 Furlong Barn had the most modern well designed cottage or house that we have rented from Rural Retreats. All the appliances in the kitchen and the bathrooms were first class. The décor was very tasteful as well. Importantly, the access road to the cottage was very easy to locate and negotiate. The cottage was also located in close proximity to the Tesco in Southam and to Hilltop Farm. Our only complaint is that the living room furniture was not terribly comfortable with little back support. Spacious property in lovely setting. Very good for a family gathering . Excellent venue for our family gathering.Could really benefit with the addition of a hot tub ! Lovely location, everything was well prepared for our arrival. No issues. 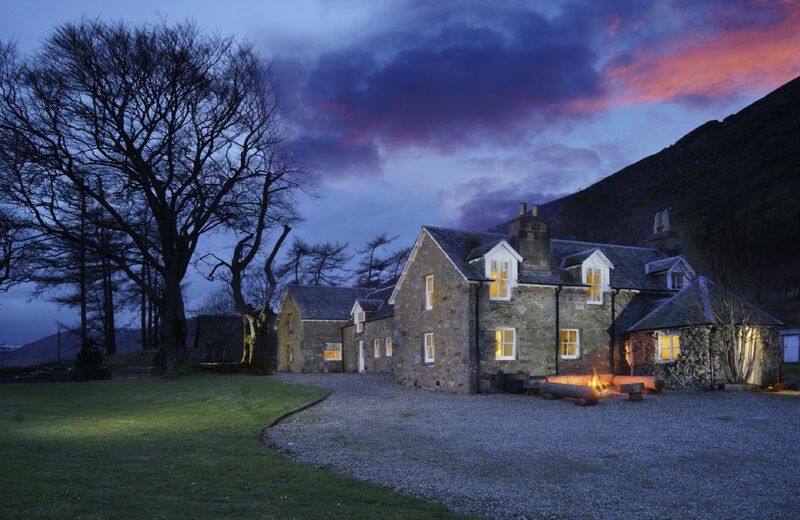 Beautiful accommodation in rural location. We loved our stay here. Great location and a high standard. Comfy beds and good showers. Only thing I think should be made clearer is that the split lever bedroom does not have a door - it is open to the stair case. The house keeper was very helpful when the kettle broke - a new one was with us within the hour of telling her about it. I'd give it 4.5 if I could. Lots of nice touches and details that suggested plenty of thought had gone into doing up the property. Bathrooms were lovely, beds were comfy. Personally I would have liked a bit more garden and a bit less driveway. Our group of 6 all agreed that the lighting could do with some thought - it was all or nothing - very bright or far too dark. No dimmer switches etc, especially in the kitchen where the dining table is. 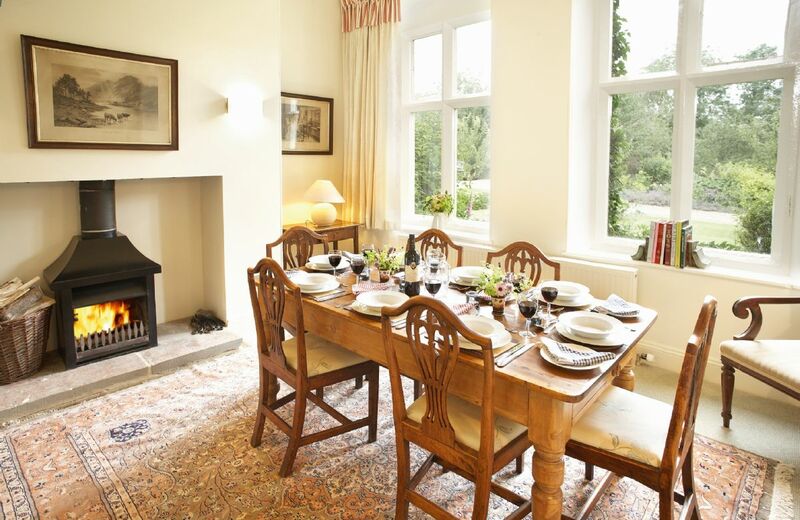 The property was as described, nicely decorated and well appointed. Unfortunately the general cleanliness and hygiene level was very poor. The kitchen tops were greasy, the washing machines looked like it had never been cleaned and the floors had not been vacuumed. The toilet in the second bedroom had been used and not cleaned and we have many other examples which we will forward to Rural Retreats. This is a beautiful, spacious barn conversation. The accommodation is of the highest standard and decorated in cool, fresh colours and styles. It's within striking distance of many fabulous walks, stately homes, the Hatton Locks, Warwick Castle and much more. The nearby Stag pub at Offchurch is fantastic for dinner - you need to book ahead. The barn seemed very new and there were a few things that could have improved our stay: there were only 8 wine glasses and 8 mugs so we were constantly washing up and the only thing to whip cream with was a broken hand-held whisk (took hours!). There's a lovely, small garden to sit in with nice table and chairs but nothing to relax on in the sun and the ants made lying on the grass unpleasant!! The upstairs shower could do with a shelf or somewhere to put things. These are just finishing touches to an otherwise perfect stay. This is a lovely property, but we experienced some housekeeping shortfalls, it had not been cleaned to a high enough standard and the dishwasher was not working. However, the owner did work to install a new dishwasher extremely quickly. 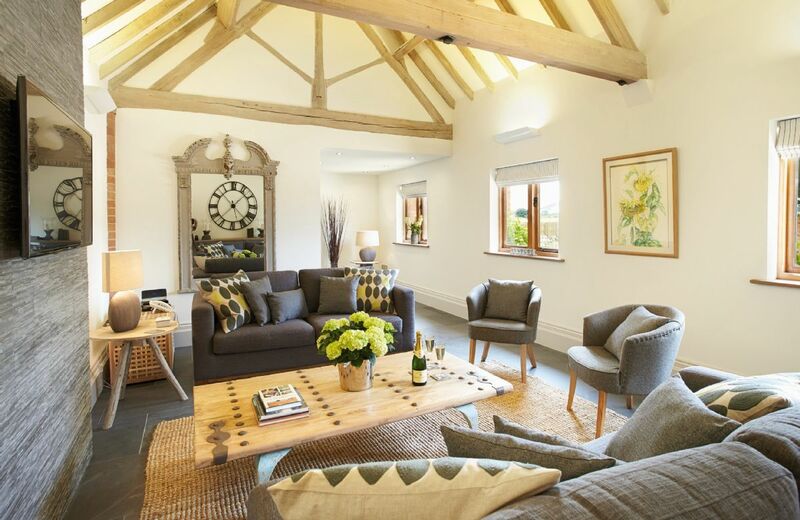 The barn has been converted to an extremely high standard and is very comfortable. The two rooms upstairs (twins) are not suitable for very young children due to steep stairs. No instructions for waste disposal we had to leave it in the property. The property more than lived up to the expectation. The thoughtful touches like the fresh flowers and the very good welcome hamper were much appreciated and made it feel like someone cared. Most importantly the basics like a comfortable bed, plenty of hot water and warm rooms were all very well done. We had a fabulous time. 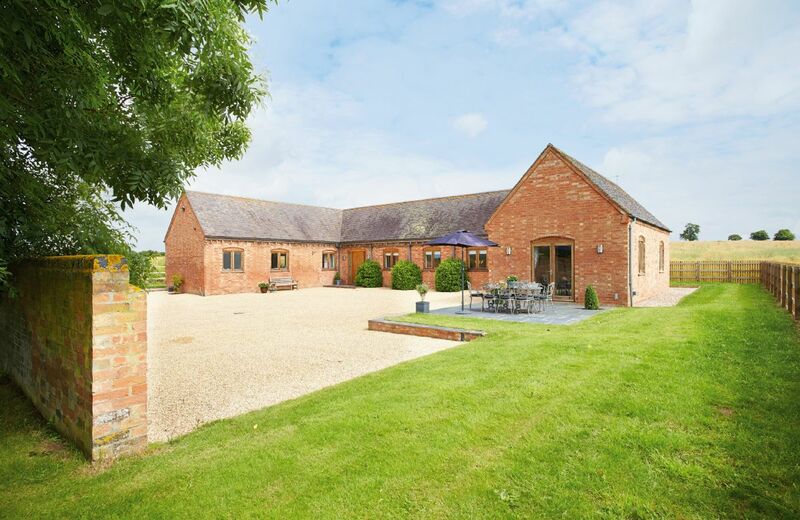 This beautiful property, in a stunning secluded position, enjoys uninterrupted views across Warwickshire farmland from all aspects. 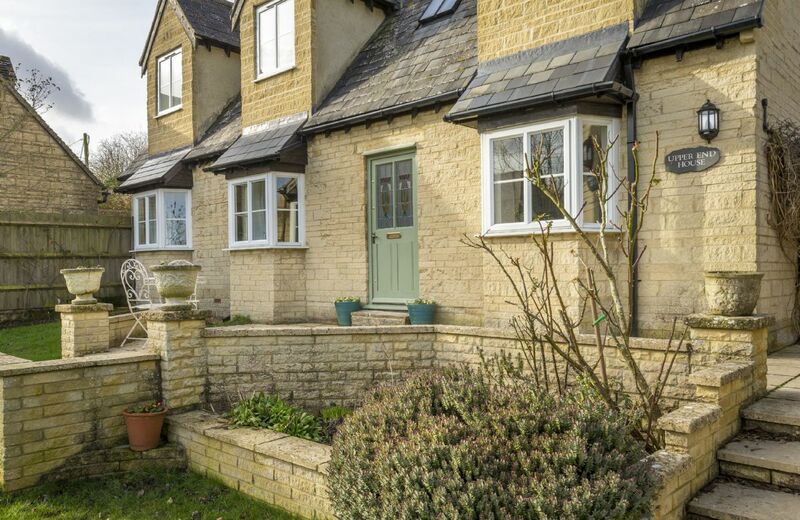 Situated on the edge of the pretty village of Long Itchington, within walking distance of its pond and village green.